We start the soccer news with FIFA president Gianni Infantino stumping for World Cup expansion. Like an good politician, Infantino is making sure he has the support for a 48-team World Cup in time for the FIFA Congress in Paris on June 5. That means finding at least one other country willing to host games in 2022. So far, that hasn't been easy. AP's Rob Harris reports that Infantino is working to find countries willing to stage games in an expanded 2022 World Cup. Specifically, that means Kuwait with other countries in the region turning into problems for FIFA. The local and global political ramifications of these moves are part of FIFA's process. Why expanding for 2022 rather than waiting on 2026 is so important is a good question. 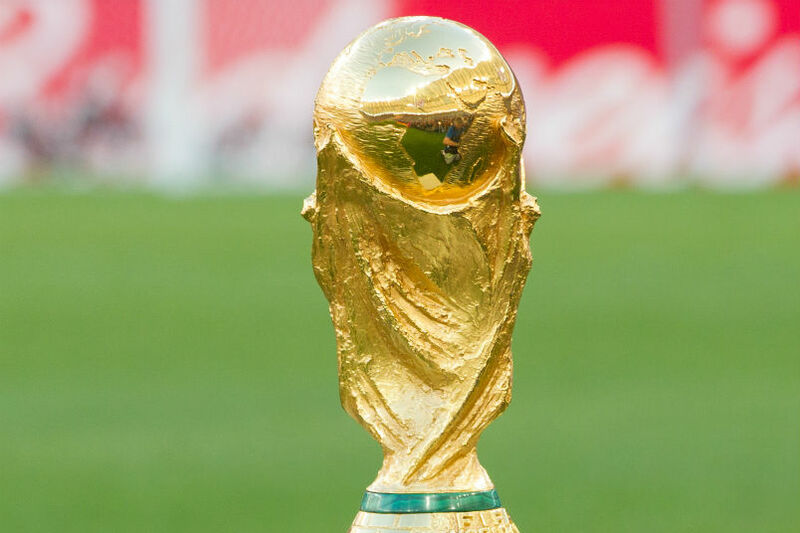 FIFA is certainly leaving it late to decide how many teams get into the next World Cup. The schedule for World Cup qualifying across the World waits on the vote in Paris. Concacaf in particular will lose the most contested set of games on its schedule. There's no need for a Hexagonal round of World Cup qualifying if there are six qualifying spots. In a region continually pushing for more games that count, they'll be trying to find a way to make qualifying as important as it once was. That they'll potentially be doing that on short notice is an obvious problem. It's a similar scenario for CONMEBOL, where six teams going to the World Cup takes the pressure off when there are only ten teams in the region. Whether or not Infantino's FIFA has the support from its membership to expand for 2022 is still the question. He's going win reelection as FIFA president on June 5 unopposed. Whatever criticism the expanded Club World Cup announced in March and the global Nations League that has yet to come to a vote receive, it hasn't been enough to stop the changes. That's likely going to be the situation in Paris should FIFA choose to bring early World Cup expansion to a vote. Also in the soccer news, Red Bull Salzburg announced that Jesse Marsch will become the club's coach for next season. Marsch spent this season as an assistant with RB Leipzig in the Bundesliga after leaving as head coach of the New York Red Bulls. "I am really pleased and feel honored to be able to work for this fantastic club as their next coach," Marsch said in a press statement. "I will give everything to further continue the extremely successful work here. That is going to be a new challenge for me, and I can't wait for it. I still have a lot to do with RB Leipzig until then to finish the season in the best possible way. I am concentrating completely on that before my new role at FC Red Bull Salzburg starts." MLSsoccer's Matthew Doyle's look at MLS Week 7. The St Paul Pioneer Press's Andy Greder relays MLS commissioner Don Garber's comments about Allianz Field needing more seats. The Toronto Sun's Steve Buffery on what Jozy Altidore and Alejandro Pozuelo mean for the Toronto attack. Goal's Soham Mukherjee expects more from Manchester United's Paul Pogba against Barcelona in the Champions League. AFP's Tom Allnut on Barcelona stalling in the Champions League at the quarterfinal stage. The Independent's Tony Evans marks the 30th anniversary of the Hillsborough disaster. Zonal Marking examines Liverpool's win over Chelsea in the Premier League. The Guardian's Dominic Fifield has Manchester United manager Pep Guardiola saying that his team can't drop a point en route to the title. Football365's Tom Reed with the situation with clubs struggling financially in the Football League. The Telegraph's Jeremy Wilson warns that world soccer has to take concussions seriously.